Created in 1906, this sprawling park located in Tokyo’s Shinjuku and Shibuya districts was Japan’s first imperial garden, and nowadays falls under the jurisdiction of the Ministry of the Environment. After becoming a national park in the post-World War II years, it is now enjoyed by hundreds of people every day. Covering an area of 58.3 hectares and with a circumference of 3.5 kilometers, this park truly feels like an urban oasis. It is also a popular tourist spot where visitors can enjoy over 100,000 trees and plants offering different vistas along with the changing seasons. 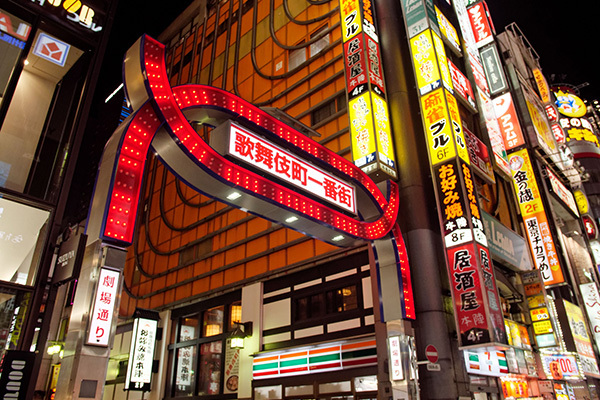 Located in Shinjuku, Kabukicho is one of Japan’s largest entertainment districts. Known as the ‘neighborhood that never sleeps’, here you can find countless bars, shops, clubs and restaurants at which to enjoy the best of Tokyo’s nightlife. The giant Godzilla head watching over Kabukicho from the Shinjuku Toho Building is 12 meters high, and actually featured in one of the Godzilla movies. 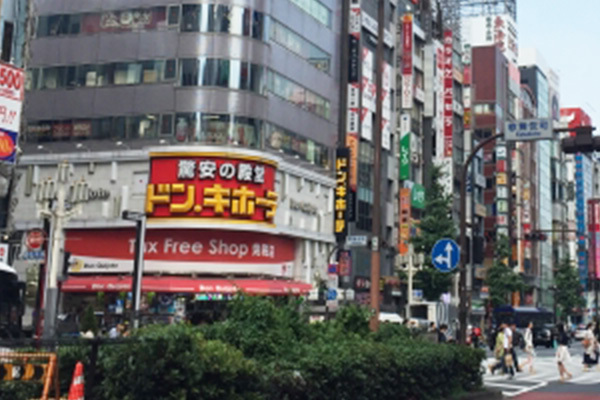 This shopping arcade to the north of Shinjuku Station’s West Exit is known as ‘Memory Lane’, and has recently become popular as a nostalgic spot reminiscent of the postwar period. This arcade is home to more than 70 dining establishments, and stands out as one of Tokyo’s most fascinating spots. 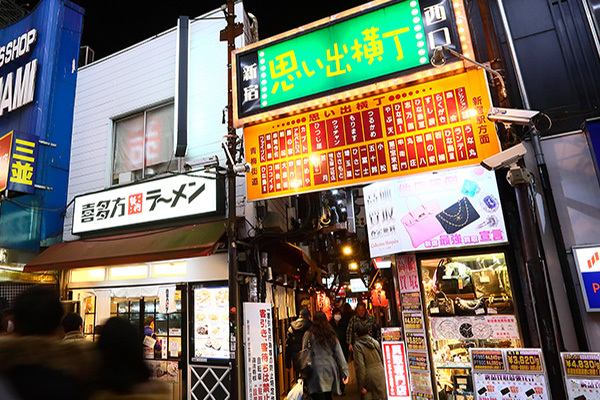 If you enter Four Seasons Alley just off Shinjuku City Office Road and go under the arches marked ‘Shinjuku Golden Gai’, you’ll have reached a tourist spot offering around 300 small-sized restaurants and bars (Shinjuku Sanko Shopping District Promotion Association, Hanazono). All of the roads in this area are private, so approval is necessary to take photographs or shoot videos on the street. 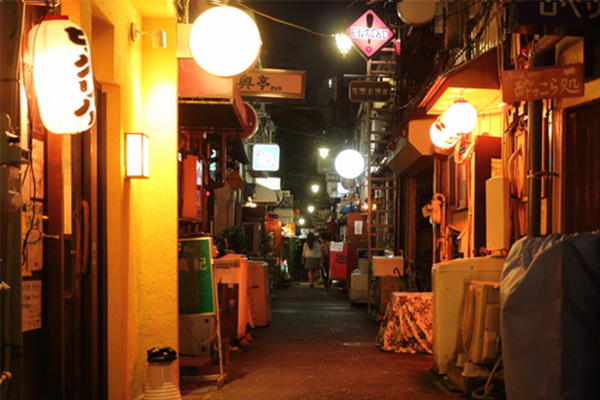 The origins of Golden Gai date back to the black markets which sprang up after World War II, and today it is a tremendously popular spot where locals and overseas visitors alike can appreciate an ambience of bygone days. 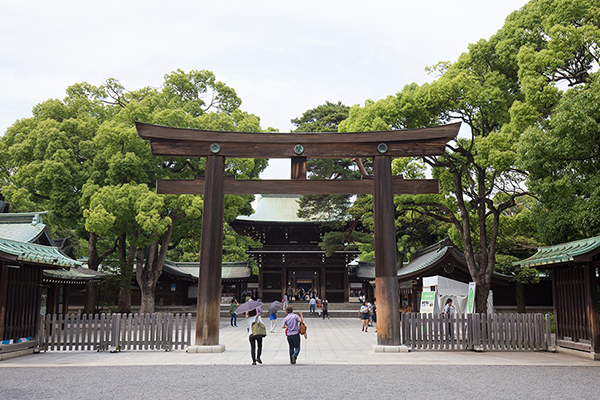 This is one of Japan’s representative shrines, boasting the largest number of visitors during New Years, as well as a range of events and festivals including the sumo grand champion ring entering ceremony, ceremonial cleansing of evil, and daily prayers. The surrounding forest extends over an area of 70m2, and contains 100,000 trees gathered from all over the country. It is a tranquil, natural spot which seems far from the bustle of downtown Shibuya. 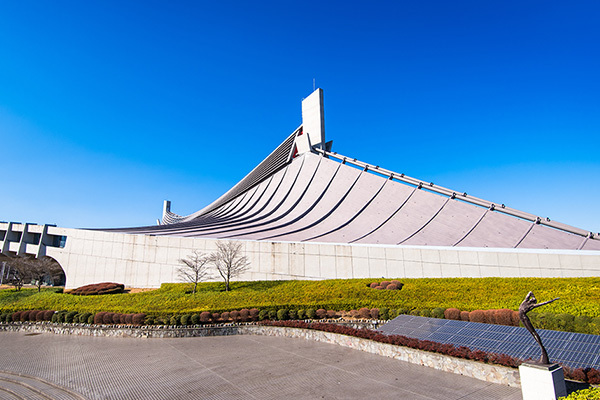 The much-lauded Yoyogi National Gymnasium was built for the 1964 Tokyo Olympics, and will once again feature as a venue in the upcoming 2020 Olympic Games. This venue borders the lush greenery of Meiji Shrine, and also Yoyogi Park which shares the gymnasium’s 1964 Olympic legacy. This building is well-known as the starting point of the Tokyo Marathon, and is an instantly recognizable landmark in West Shinjuku. 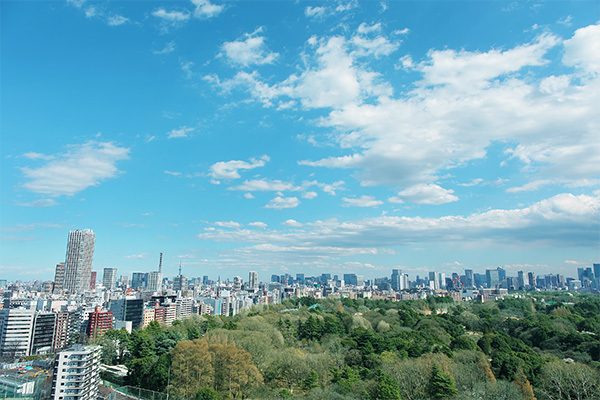 The 202m high observation decks in the building’s two towers are free of charge to the public, and offer sweeping panoramas of Tokyo. 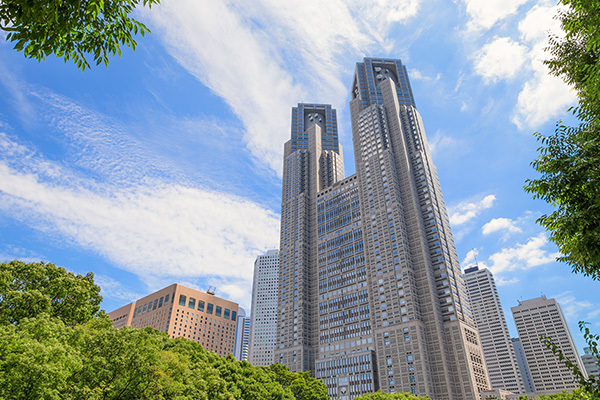 On the 1st floor you can find a Tokyo tourist information center and Tokyo Metropolitan Government Building visitors’ center – a one-stop spot for gathering information on sightseeing in Tokyo. This is one of Japan’s largest discount chain stores. Immensely popular with overseas visitors, each branch of Don Quijote offers duty free shopping as well as foreign currency services, making it an easy place for tourists to shop. A huge range of products are sold here, from basic groceries to makeup, electronics and clothing.